Only two months after the Church was restored on April 6, 1830, the first general conference was held on June 9, 1830, at the Peter Whitmer home in Fayette, New York. 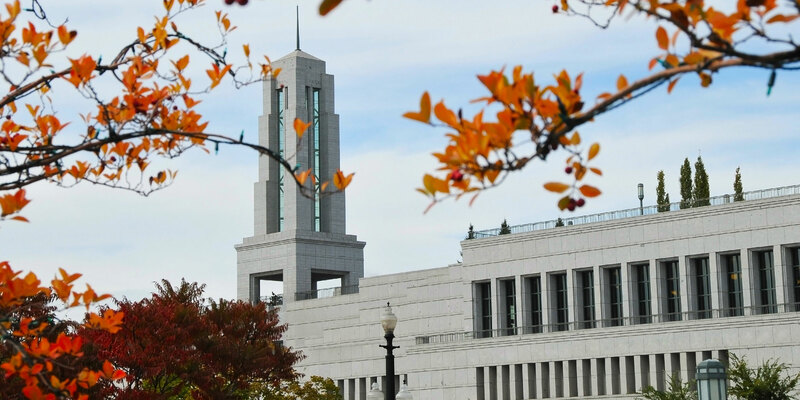 In the following years, general conferences were held periodically until the Nauvoo era, when they began to be held consistently twice a year, in April and October. Since that time, the semi-annual General Conferences of the Church have grown into international events where millions tune in to hear the words of living prophets and apostles. For a number of religious denominations in America, regular conferences played a significant part of nineteenth-century worship and administrative practices. One such conference likely even contributed to the “unusual excitement” which prompted young Joseph to ask God which church was true (Joseph Smith—History 1:5). 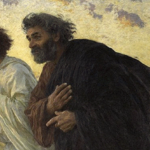 While this background surely influenced early Latter-day Saint conferences, Joseph and other early leaders may have been inspired by more ancient precedents as well. The Book of Mormon records many instances where all the people were gathered together to hear the counsel of prophets and inspired leaders. 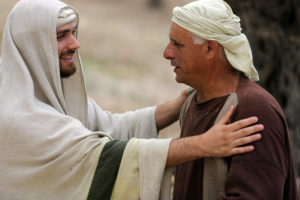 At Nephi’s request, Jacob preached to the “people of Nephi,” most likely while they were gathered together at the newly built temple (2 Nephi 6–10), a tradition Jacob continued after Nephi’s death (Jacob 2–3). King Benjamin had the people “gathered together” at the temple, where he taught them important gospel principles, shared new revelation, and placed them under covenant (Mosiah 1–5). Later, when the people of Alma and Limhi joined with the Nephites in Zarahemla, Mosiah “caused that all the people should be gathered together,” and they read records together, “thought of the immediate goodness of God,” and “did raise their voices and give thanks to God” (Mosiah 25:1, 9). Alma appears to have hosted conference-like gatherings at Zarahemla and Gideon (Alma 5–7). Shortly before the Lord appeared to the Nephites, “a great multitude gathered together” in what Clifford P. Jones has argued was “a multitude that purposefully gathered to the temple for a spiritual purpose.” Whatever the original purpose was, it quickly became a spiritual gathering as the crowd witnessed the majesty of the risen Lord descending from heaven (3 Nephi 11:3–12). From that point, leaders were called and set apart, ordinances were administered, and spiritual instruction was given over the course of several days (3 Nephi 11–26). 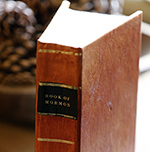 The Book of Mormon tradition of gathering together to perform religious rituals, to receive counsel and instruction, to make covenants, and to learn new revelation appears to be tied back to the ancient Israelite festival tradition. Under the laws in Exodus, it was required in Israel that “three times in the year all thy males shall appear before the Lord,” connected with the three times in the year that the holy festivals of unleavened bread (Passover), first fruits (Pentecost), and ingathering (around the Feast of Tabernacles) were celebrated (Exodus 23:14–17). Especially at the Feast of Tabernacles at the end of every seventh year, all Israelites were to appear before the Lord to hear the law read “in their hearing.” Moses instructed:The Book of Mormon tradition of gathering together to perform religious rituals, to receive counsel and instruction, to make covenants, and to learn new revelation appears to be tied back to the ancient Israelite festival tradition. Under the laws in Exodus, it was required in Israel that “three times in the year all thy males shall appear before the Lord,” connected with the three times in the year that the holy festivals of unleavened bread (Passover), first fruits (Pentecost), and ingathering (around the Feast of Tabernacles) were celebrated (Exodus 23:14–17). Gather the people together, men, and women, and children, and thy stranger that is within thy gates, that they may hear, and that they may learn, and fear the Lord your God, and observe to do all the words of this law (Deuteronomy 31:10–12). In the Book of Mormon, Jacob and Benjamin appear to have preached during a gathering during the autumn festival season, Abinadi seems to have prophesied to a crowd in the city of Nephi during Pentecost, and Alma apparently taught and counseled his sons during Passover. Following the teachings and leadership of King Benjamin, Latter-day Saints use conference weekend as an opportunity to remember and reflect, recommit to covenants, spend time with family, and serve others. Following Alma’s example, it can make available good moments for parents to counsel with their children and for fathers to give priesthood blessings. “Oh, how we need general conference!” exclaimed Elder Hales. “Through conferences our faith is fortified and our testimonies deepened.” This weekend, God’s children across the world will once again have the long-standing opportunity to hear the voices of prophets, apostles, and other inspired leaders, thereby having their faith fortified, devotion deepened, and testimonies renewed. 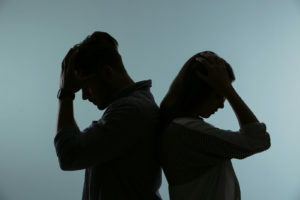 Click here to listen to the podcast on this topic. Book of Mormon Central, “Why Do Certain ‘Treasured Words’ Appear so Repeatedly in General Conference Talks?,” KnoWhy 69 (April 2, 2016). Book of Mormon Central, “Why Do Church Leaders Frequently Testify of the Book of Mormon? (3 Nephi 23:5),” KnoWhy 68 (April 1, 2016). Elder Robert D. Hales, “General Conference: Strengthening Faith and Testimony,” Ensign, November 2013, 6–8, online at lds.org. See Kenneth W. Godfrey, “150 Years of General Conference,” Ensign, February 1981, online at lds.org; M. Dallas Burnett, “Conferences, General Conference,” in Encyclopedia of Mormonism, 4 vols., ed. Daniel H. Ludlow (New York, NY: Macmillan, 1992), 1:307–308; Kenneth W. Godfrey, “General Conference,” in Encyclopedia of Latter-day History, ed. Arnold K. Carr, Donald Q. Cannon, and Richard O. Cowan (Salt Lake City, UT: Deseret Book, 2000), 418–419. 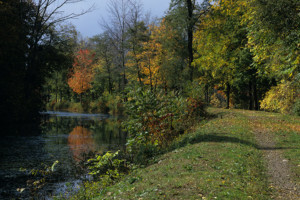 A Methodist regional conference held in Phelps, NY in 1819, only a few miles down the road from Palmyra, is believed to be a factor in the “unusual excitement” mentioned by Joseph Smith. See Richard Lloyd Anderson, “Joseph Smith’s Accuracy in the First Vison Setting: The Pivotal 1818 Palmyra Camp Meeting,” in Exploring the Frist Vision, ed. Samuel Alonzo Dodge and Steven C. Harper (Provo, UT: Religious Studies Center, 2012), 91–169. 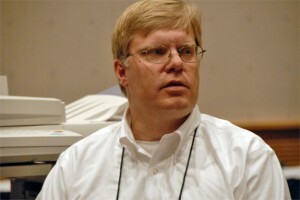 For additional discussion of the “unusual excitement” throughout the region leading up to Joseph Smith’s first vision, see Milton V. Backman Jr., “Awakenings in the Burned-Over District: New Light on the Historical Setting of the First Vision,” in Exploring the First Vision, 171–197; Milton V. Backman Jr., Joseph Smith’s First Vision: Confirming Evidences and Contemporary Accounts, 2nd ed. (Salt Lake City, UT: Bookcraft, 1980), 53–88; Matthew B. Brown, A Pillar of Light: The History and Message of the First Vision (American Fork, UT: Covenant Communications, 2009), 11–23; Steven C. Harper, Joseph Smith’s First Vision: A Guide to the Historical Accounts (Salt Lake City, UT: Deseret Book 2012), 24–25. Clifford P. Jones, “The Great and Marvelous Change: An Alternate Interpretation,” Journal of the Book of Mormon and Other Restoration Scripture 19, no. 2 (2010): 52. See Book of Mormon Central, “Did Jacob Refer to Ancient Israelite Autumn Festivals? (2 Nephi 6:4),” KnoWhy 32 (February 12, 2016); Book of Mormon Central, “Why Did the Nephites Stay in their Tents During King Benjamin’s Speech? (Mosiah 2:6),” KnoWhy 80 (April 18, 2016); John S. Thompson, “Isaiah 50–51, the Israelite Autumn Festivals, and the Covenant Speech of Jacob in 2 Nephi 6–10,” in Isaiah in the Book of Mormon, ed. Donald W. Parry and John W. Welch (Provo, UT: FARMS, 1998), 123–150; Terrence L. Szink and John W. Welch, “An Ancient Israelite Festival Context,” in King Benjamin’s Speech: “That Ye May Learn Wisdom” (Provo, UT: FARMS, 1998), 148–223. See Book of Mormon Central, “Did Abinadi Prophesy During Pestecost? (Mosiah 13:5),” KnoWhy 90 (May 2, 2016); John W. Welch, Gordon C. Thomasson, and Robert F. Smith, “Abinadi and Pentecost,” in Reexploring the Book of Mormon, ed. John W. Welch (Salt Lake City and Provo, UT: Deseret Book and FARMS, 1992), 135–138. See Book of Mormon Central, “Did Alma Counsel his Sons During the Passover? (Alma 38:5),” KnoWhy 146 (July 19, 2016); Gordon C. Thomasson and John W. Welch, “The Sons of the Passover,” in Reexploring the Book of Mormon: A Decade of New Research, (Salt Lake City and Provo UT: Deseret Book and FARMS, 1992), 196–198. Elder Robert D. Hales, “General Conference: Strengthening Faith and Testimony,” Ensign, November 2013, 6, online at lds.org. Hales continued, “Adam gathered his posterity and prophesied of things to come. Moses gathered the children of Israel and taught them the commandments he had received. The Savior taught multitudes gathered both in the Holy Land and on the American continent. 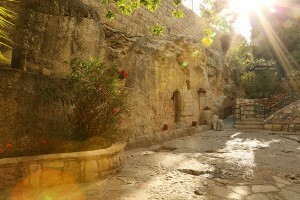 Peter gathered believers in Jerusalem” (p. 6). The community at Qumran [from which came the3 Dead Sea Scrolls] would gather once a year, and all the believers from round about would join together for a conference!